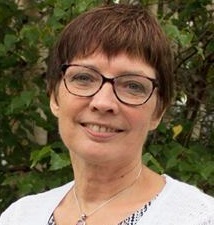 Hi, my name is Judy Stupak and my blog is Judy’s Quilting Studio located at https://judystupak.wordpress.com/ I live in Winnipeg Manitoba. I started to quilt 4 years ago when I retired. It was something I had always wanted to do but thought it would take too much time and space. 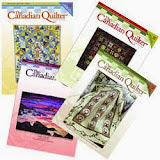 I didn’t realize how much things had changed since my mom quilted decades ago and how big the quilting world was. So many time saving devices. So much variety! So much to learn! So many classes to take, quilt shops to visit, fabric to buy, places to go and people to meet. 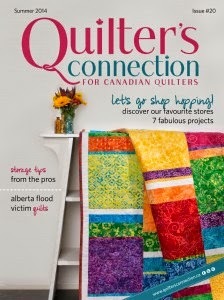 A quilting ‘family’ that stretches from coast to coast, and around the world. For the most part, I quilt pieces in order to learn a new technique or because they are part of a class, not necessarily because I just love the design. It is not very often I am able to quilt my own designs. However, in February we went on a quilting cruise. There was a challenge associated with the trip where we had to make a 12” finished block on the theme of HOME. I love cats, and summer or winter our cat sits on the back of the sofa looking out the window for hours on end. There are trees right in front of the window and the birds entertain (or torture) him from the other side of the glass. Jake became the subject of my block. ‘Jake’ ended up winning the Viewer’s Choice Award, for which I won a trip to the Houston Quilt Show and another quilting cruise. 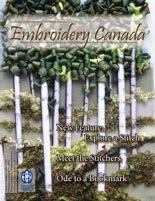 ‘Jake’ was featured in the April issue of the on-line craft magazine called Craftposium. 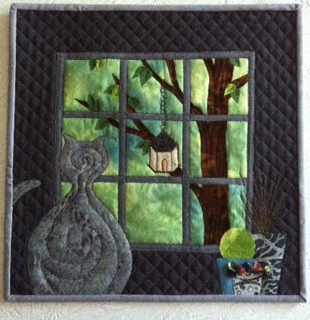 In May, the Barnswallow Quilt Guild (Morden, MB) held a challenge for which I also won the Viewer’s Choice Award. The challenge this time was to make a 3D notion, using the fabrics that were provided. The notion I decided to make was a Hexi Holder needle book. I like to hand stitch when we travel but always had a hard time keeping things organized. The Hexi Holder has zippered and unzippered pockets, a needle page, a thread page and two pages that snap together in order to keep the fabric from getting wrinkled. It lays flat on the lap and has gone through a number of airports securities with no problem. It has become a notion I can’t travel without. Another project I was thrilled to finish was a quilt I called “Seeing Stars”. Over 1000 half square triangles! This was a quilt designed by Carol Moellers and taught on our cruise. Of course I only got one block done on the cruise but the rest was done in due course. It was definitely challenging, and I am thrilled with the result. My quilting is still ‘all over the map’. I take classes just to learn techniques and I make things just to practise. There is a lot of trial and error involved; not everything turns out. 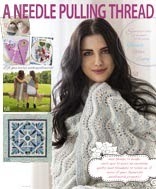 Although I have not yet found my quilting style, I have hundreds of ideas. 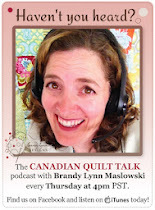 Small projects such as quilted Postcards are a great way to try some of them. In the New Year I would like to set up a post card swap and track the miles my postcards travel around the world throughout 2016. I would also like to do more art quilts. At some point I hope everything gels – the piecing AND quilting. But that is part of the challenge. As long as there are new things to learn and techniques to conquer, quilting will never get boring.